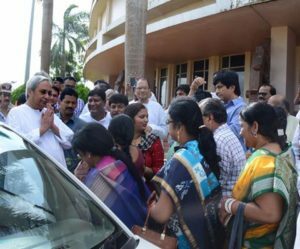 Bhubaneswar: Chief Minister Naveen Patnaik on Sunday receives hero’s welcome on return to Bhubaneswar . 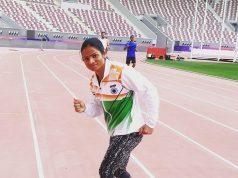 CM Naveen Patnaik was given a rousing welcome at the Biju Patnaik International Airport here on Sunday when he returned after being awarded as the Best Administrator at the Outlook Speakout Awards ceremony in New Delhi. 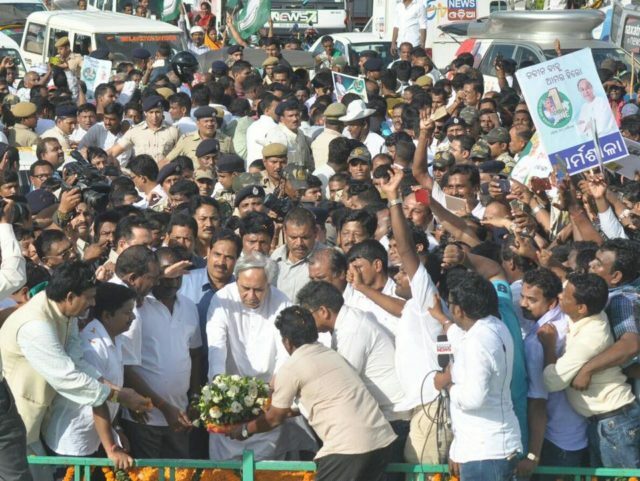 Thousands of BJD workers and leaders thronged the airport to congratulate the CM. 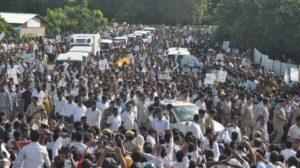 After arriving, Patnaik paid floral tributes to the statue of Biju Patnaik at the airport before leaving for the Naveen Niwas in a huge procession with thousands of party supporters lining up on both the sides of the road to greet him. Amid talks of mid-term general elections, BJD president and Chief Minister Naveen Patnaik on Sunday said they are always prepared to face poll anytime. 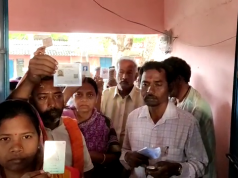 Simultaneous elections have worked well for the BJD, he said. 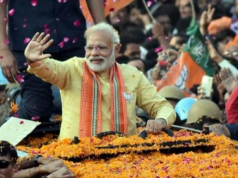 Patnaik, who returned from New Delhi, however, clarified that the BJD would retain its policy of equidistance from the Congress and the BJP, thereby putting latest speculations of a possible alliance between his party and the BJP to rest.